After treating you for periodontal (gum) disease for some time, we may suggest you see a periodontist, a specialist in gum conditions and diseases. There are a number of reasons for a referral, including the specific type of gum disease you may have developed. Here are 4 more reasons why seeing a periodontist might be advantageous at this stage in your dental care. Advanced treatment. All dentists are skilled in basic treatment procedures for gum disease, particularly removing plaque and calculus (hardened plaque deposits) that cause and sustain infections. 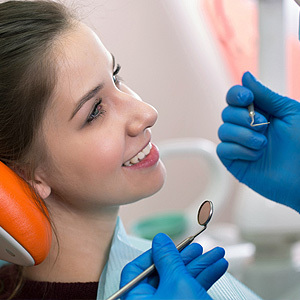 But if your disease has advanced deeper below the gum line and has resulted in infection-filled void pockets between teeth and gums or in gum recession (the tissues shrinking back from the teeth), you may need more advanced techniques and equipment provided by a periodontist. Advanced Cleanings. Regular, twice-a-year office cleanings are part of every dental care program. But depending on the severity of your gum disease (and your own hygiene efforts) you may need more frequent and advanced cleanings to keep recurring infections at bay. A periodontist can provide this, as well as help you develop a daily hygiene plan that meets your needs. Your general health. There are a number of systemic conditions like diabetes, cardiovascular disease or pregnancy that can affect gum health. Many of these issues are tied to tissue inflammation, a major component of chronic gum disease, as well as slower tissue healing. As specialists in the gums and their relationship with the rest of the body, a periodontist can develop a treatment approach that coordinates with these other health issues. Future restoration preparation. One of our treatment goals with gum disease is to try to prolong the life of natural teeth for as long as possible. In reality, though, some or all of your teeth may have a shortened life expectancy. If a comprehensive dental restoration is in your future, a periodontist can help prepare your gums for the inevitable. They may also be able to repair or restore gum tissues that enhance the appearance of a restoration to create a more attractive smile.